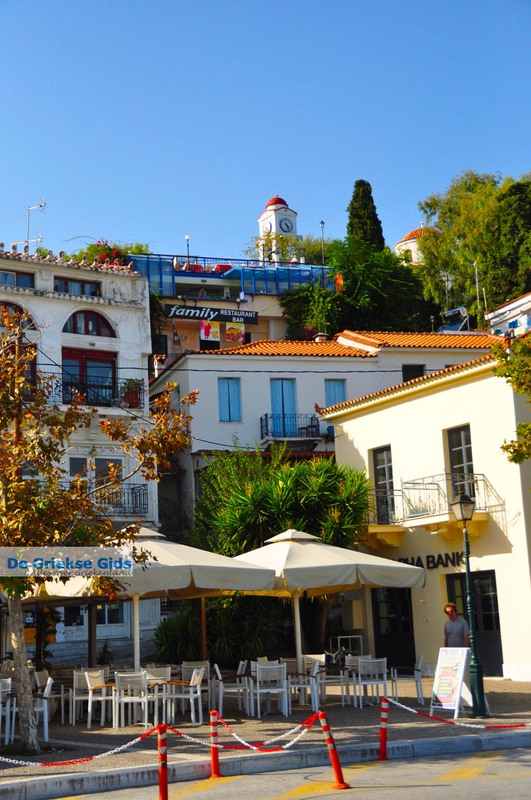 SKIATHOS TOWN. 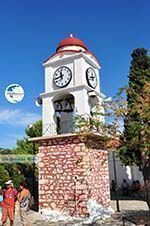 Skiathos town, the capital of the Greek island of Skiathos, also called Chora, is a beautiful vibrant city that is hugely popular with both young and old. 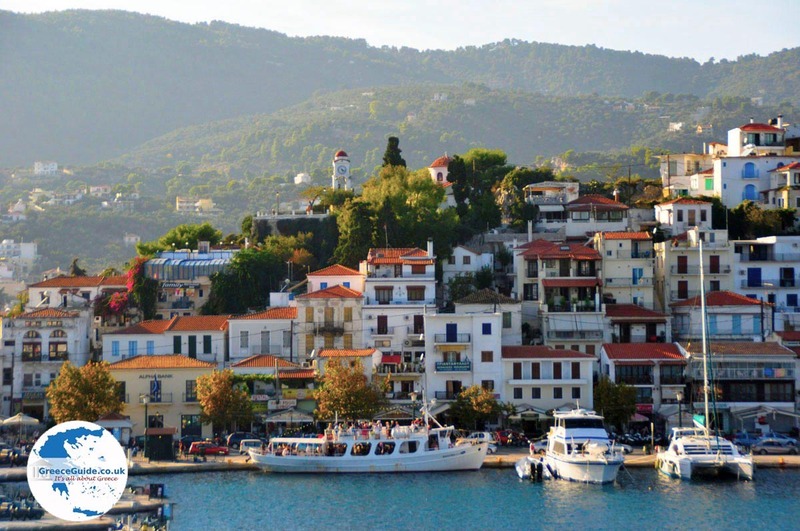 The town is amphitheatrically built on low hills overlooking the port. 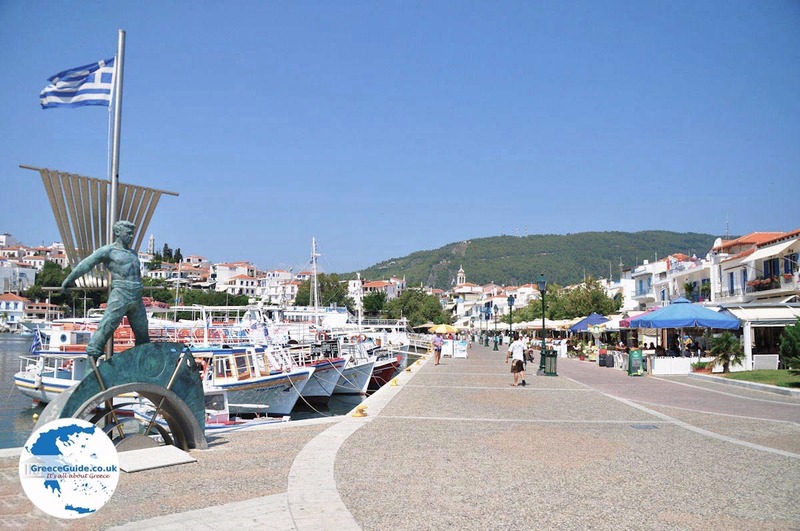 Skiathos Town has two harbours, the tourist port, also known as the old harbour and the Grand Harbour. 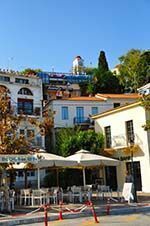 The most charming place is the tourist port with its terraces. 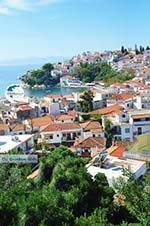 From here there leave daily excursion boats to the surrounding islands, but also to several beaches of Skiathos which are not accessible by car. The terraces of this port are usually busy. 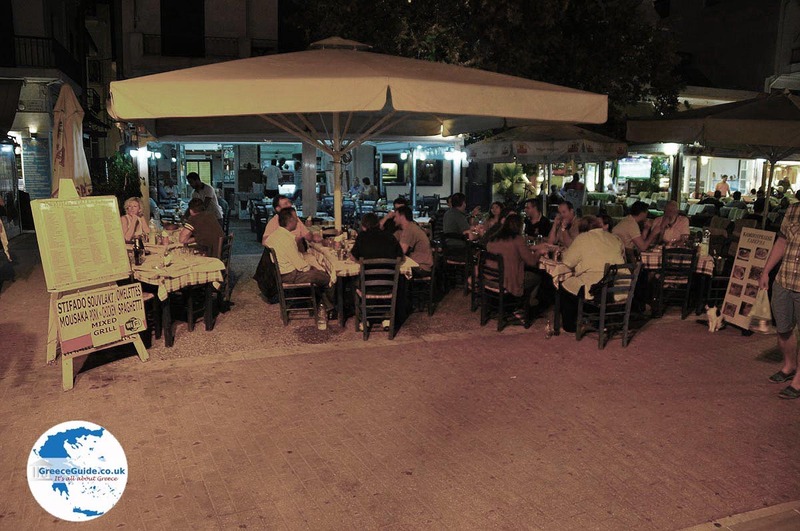 There are tavernas, fish restaurants, ouzeri’s and bars. There is a lot going on here night and day! 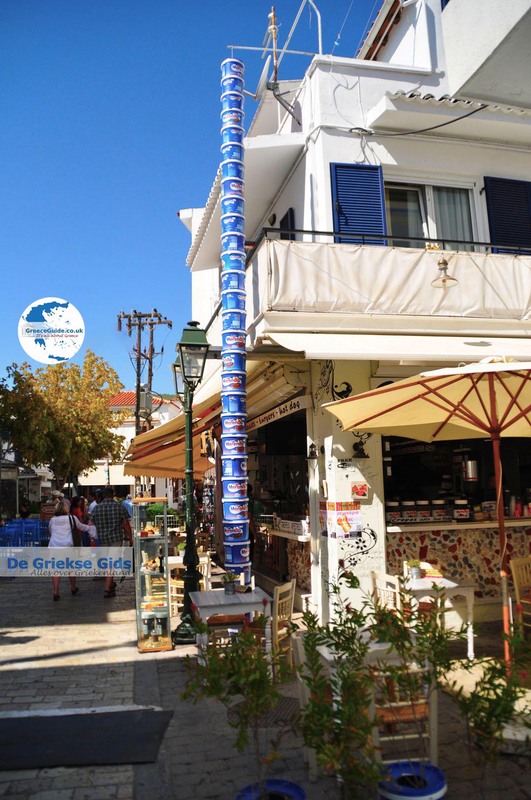 The Papadiamantis Street is the most popular shopping street in Skiathos Town. 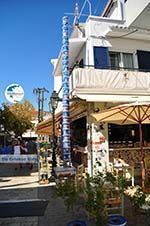 Here and in the side streets, you will find tourist shops and gyro- and souvlaki shops, pancake houses, snack bars, clothing stores and leather shops as well as restaurants. 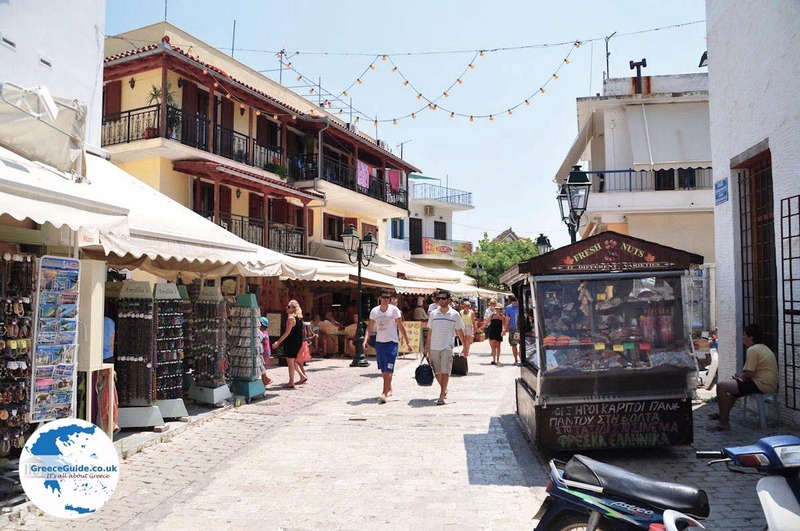 In this street is also the home of Papadiamantis, who was a great Greek writer. This house now serves as a museum. 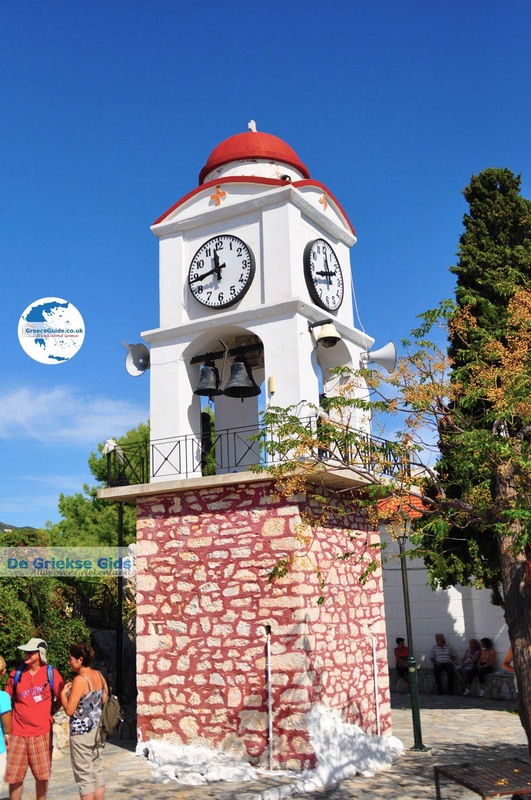 A walk to the church of Agios Nikolaos which towers above the city is more than worth it. The climb to the top is through narrow alleyways and stairs. The view over the city, the port, the peninsula Bourtzi and the sea with small islands is breath-taking. 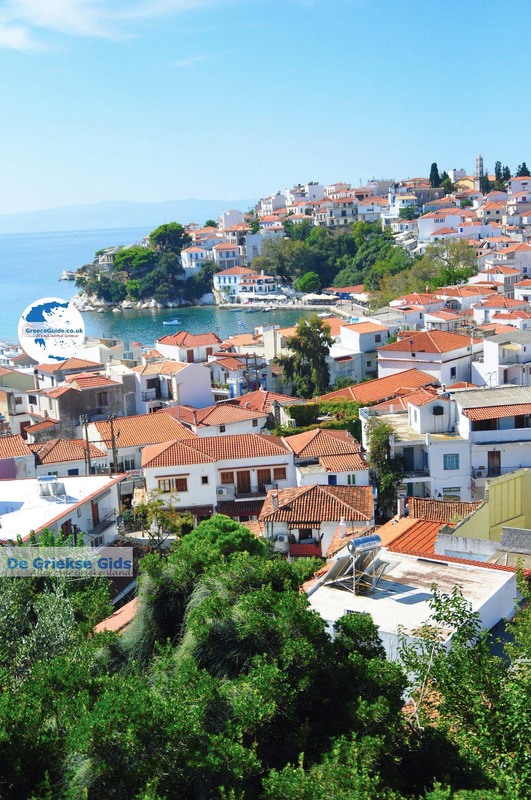 In Skiathos Town live about six thousand permanent residents. 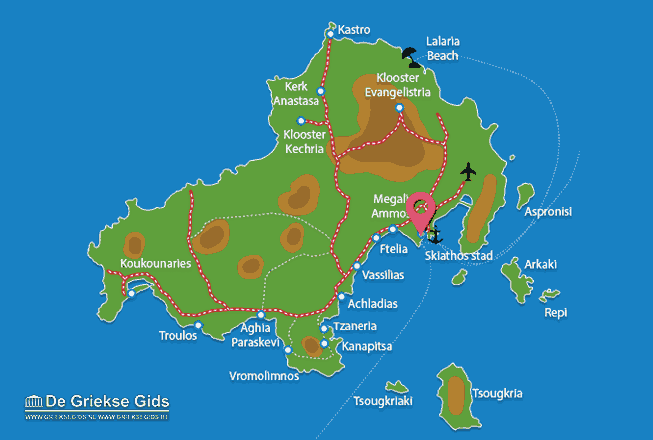 In summer the island is overrun by tourists. 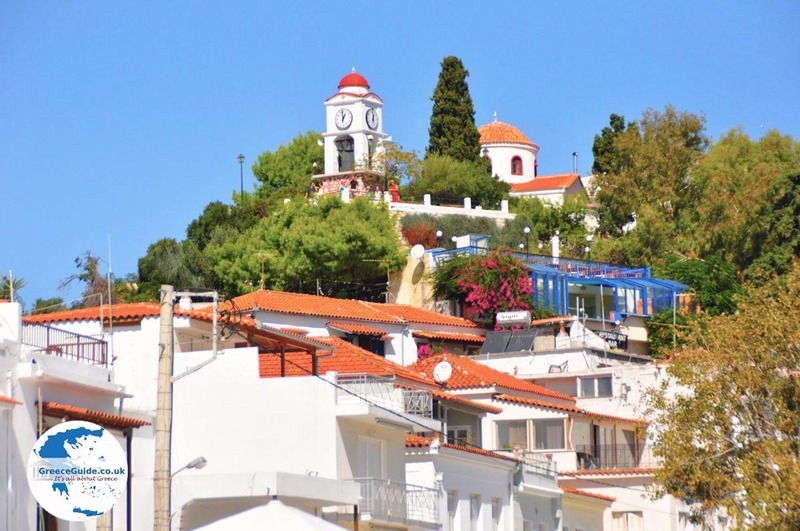 Skiathos: Where on the map is Skiathos town located?